The migration of doctors and healthcare workers worldwide isn’t a new issue, but it has garnered attention recently because it might lead to shortages of skilled workers in certain locations, especially in still-developing countries that already deal with workforce shortages. The World Health Assembly adopted the Global Code of Practice on the International Recruitment of Health Personnel in May of 2010 to respond to these concerns. This model promotes more ethical recruitment of health care workers and encourages countries to gain better self-sufficiency in training of these workers. At the same time, it recognises the human right to migrate enjoyed by everyone. One of the major concerns of health care workers is the need to relocate and find suitable yet well priced accommodation, hospital accommodation websites like Hospital Stays have helped with reducing the stress of this relocation. There are considerable differences across OECD countries in the number of doctors trained abroad. In 2013, doctors who trained in foreign countries ranged from less than 3% in countries like Turkey, Poland, Estonia, The Netherlands and the Czech Republic to more than 40% in Israel and New Zealand. The high number in Israel reflects immigration to that country as well as the large number of licensees born in Israel but trained elsewhere. Norway, Ireland and Australia also have high numbers of foreign-schooled doctors. In Norway almost half of all doctors who were born in the country travelled outside the country for school. In countries like the United Kingdom, U.S., Switzerland, Sweden and Canada, the number of foreign-trained doctors ranges from 23% to 30%. Since the year 2000, the number of these foreign-schooled doctors in many OECD countries has been on the increase, contributing to the addition in number of doctors. In the United States and United Kingdom, this number has remained stable, but the number of doctors trained abroad continues to rise at the same rate. Sweden has seen an increase in the number of foreign-schooled doctors, the majority of them coming from Germany, Poland and Iraq. Doctors from schools outside the country have also grown in number in France and Germany, though at a lesser pace. In France, some of this stems from doctors moving into the country, primarily from Romania. 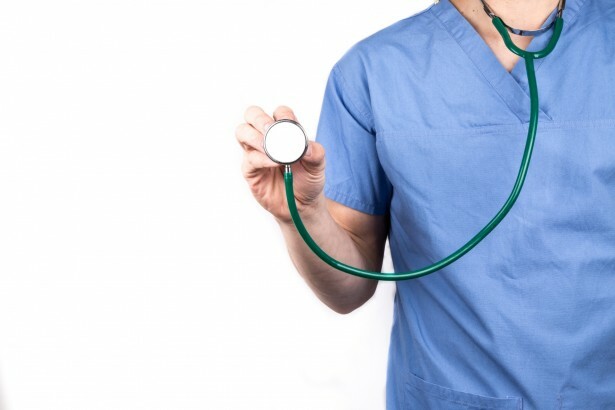 The United States has the highest number of foreign-school doctors at more than 200,000 in 2013. Next on the list is the United Kingdom with more than 48,000 foreign-trained doctors in 2014. This migration flow depends on many factors, including migratory ties (family in other countries), language and recognition of qualifications (by the other country). Almost half of foreign-trained doctors in the United States come from Asian countries, while the largest number of migratory doctors are from India, the Philippines and Pakistan. More than 10% were trained in the Caribbean, but most of these were U.S. students who went abroad to study and then returned for post-graduate work. In the U.K., most foreign doctors came from Asian countries, but India also claims a large margin of these doctors. But a growing number of workers are now migrating from other EU countries. If smaller countries in Africa, Asia, or Europe lose only a small number of doctors to migration, this may still have a huge impact on their health care systems. There’s a growing awareness that OECD countries should stay away from actively recruiting doctors from countries experiencing a shortage of health care workers.